BASSETERRE, St.Kitts- Three more young men on St.Kitts recently received a joint life imprisonment sentence for the charge of murder days after one young man received the same. On Friday 14th July, 31-year-old Denroy Simmonds, 28-year-old Nicholas Riley and 30-year-old Keith Murray of Challengers Village were jointly given that jail judgement for 2011 killing of George Livingston Queeley of Middle Island. Reportedly, the remains of the deceased, who went missing in January 2011, were discovered in a hillside region of Challengers Village in November 2013. 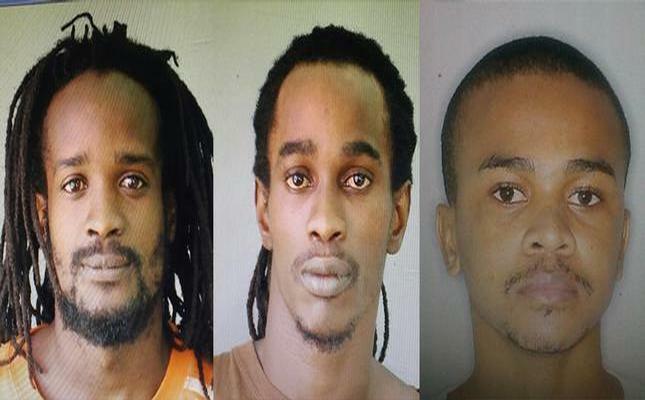 Earlier this year (7th March), the three young men were found guilty for the offence of Murder on at the Basseterre High Court. On Monday 10th July, 25-year-old Jahari ‘Baddie’ Bart received a life imprisonment judgement for the April 2011 murder of 27-year-old Laustin Jamie ‘Big Ship’ Williams, the son of the then sitting Commissioner of Police Austin Williams.